The Capital Cars Android App is useful and easy to use. Download it today for free. 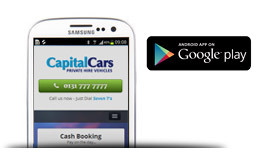 This App allows you to book a Private Hire vehicle from Capital Cars (Edinburgh).